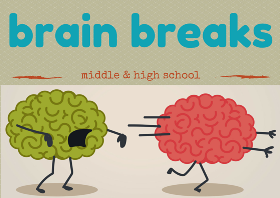 Every now and then even middle and high school students need a break. Brain breaks for younger children usually involve physical movements that shy middle and high school students are usually reluctant to do. 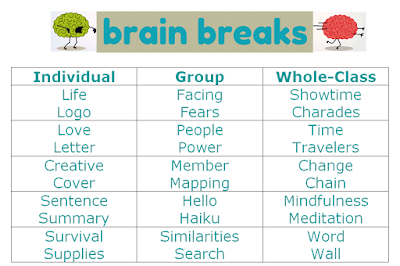 These brain breaks involve using the brain but in a fun and relaxed way. 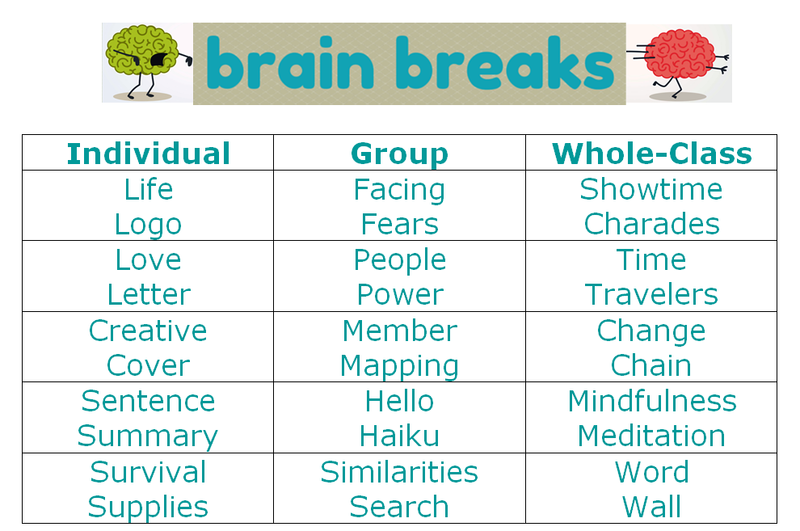 I call them brain breaks, but they function as time fillers and icebreakers as well. 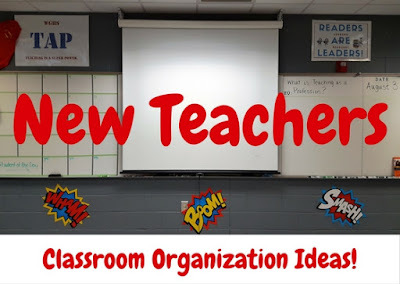 These are quick and easy activities that involve no preparation by the teacher once the initial set of cards is printed and cut out. But even that step can be skipped by simply projecting the larger images. Just choose a card and read the directions to the class. Print off a set and fasten together with a ribbon or lanyard. Project the larger activity cards using classroom computer. Directions provided do not involve technology, but students can use technology to design several of the products. 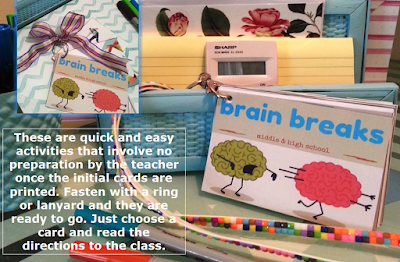 Parents, this product makes a great middle and high school teacher gift.